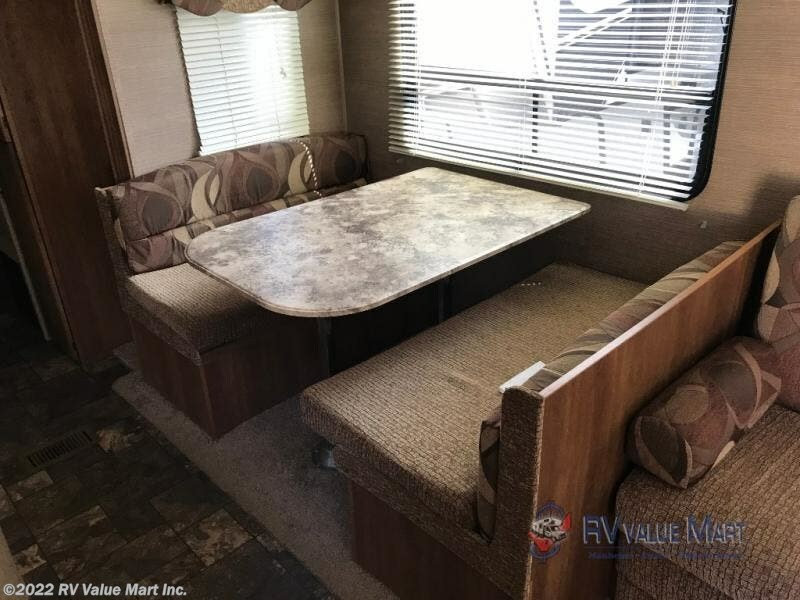 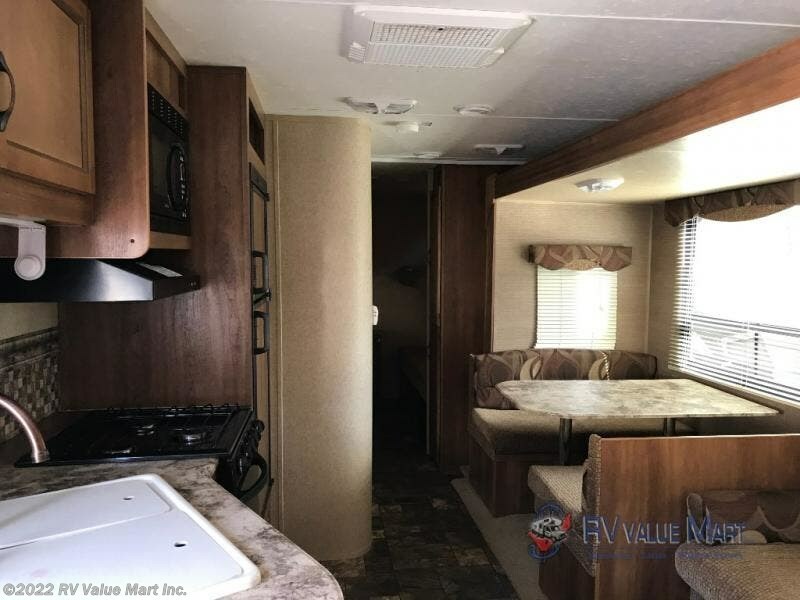 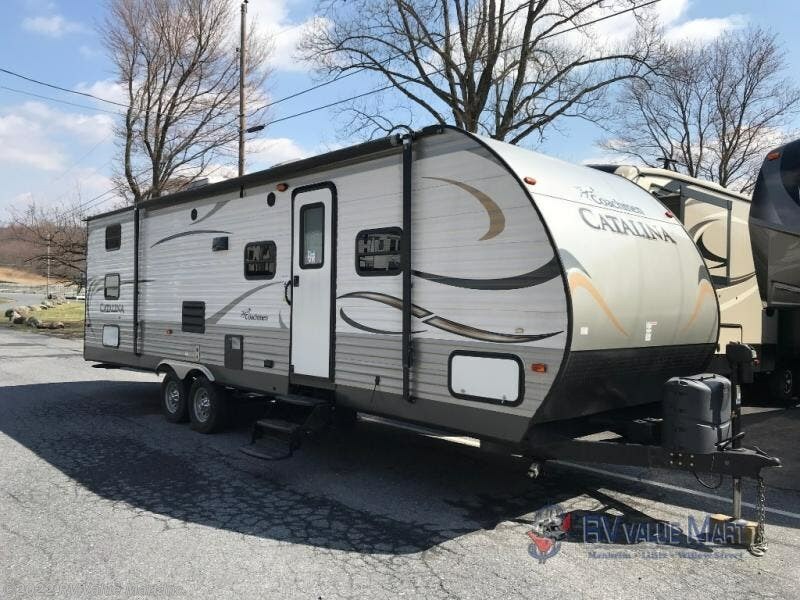 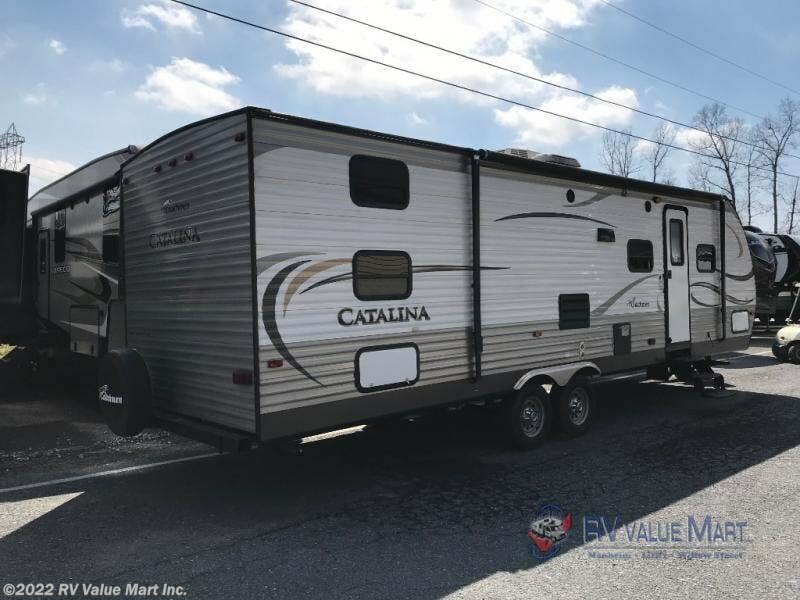 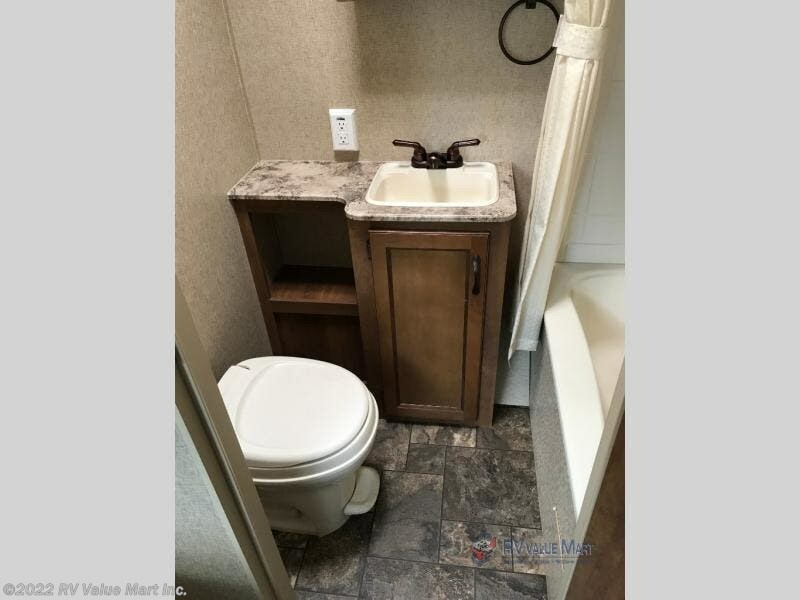 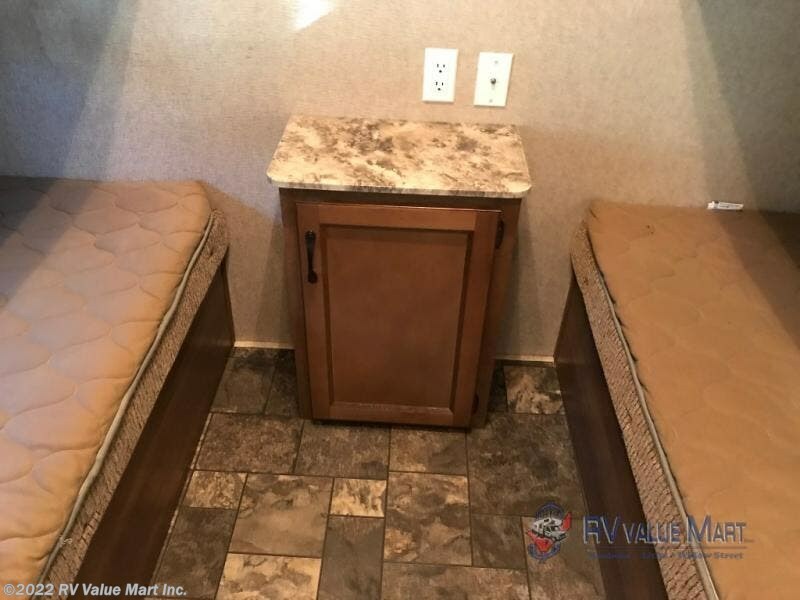 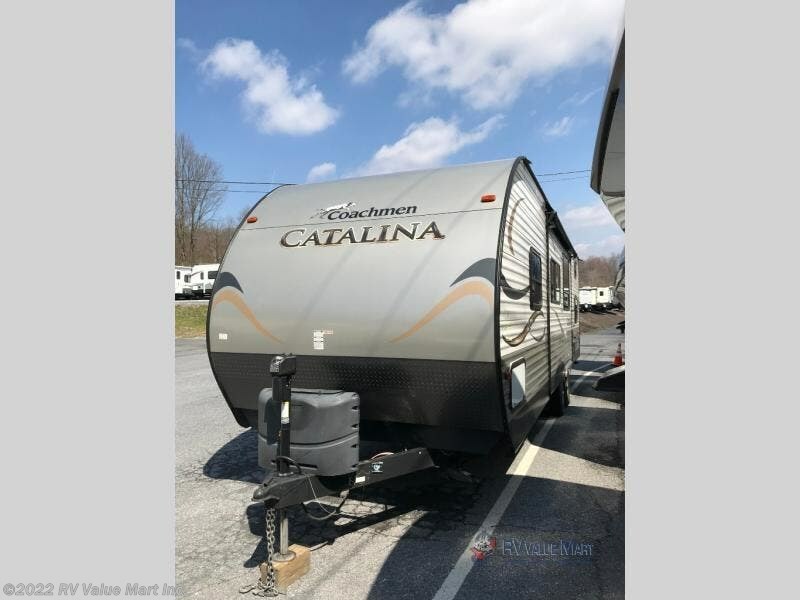 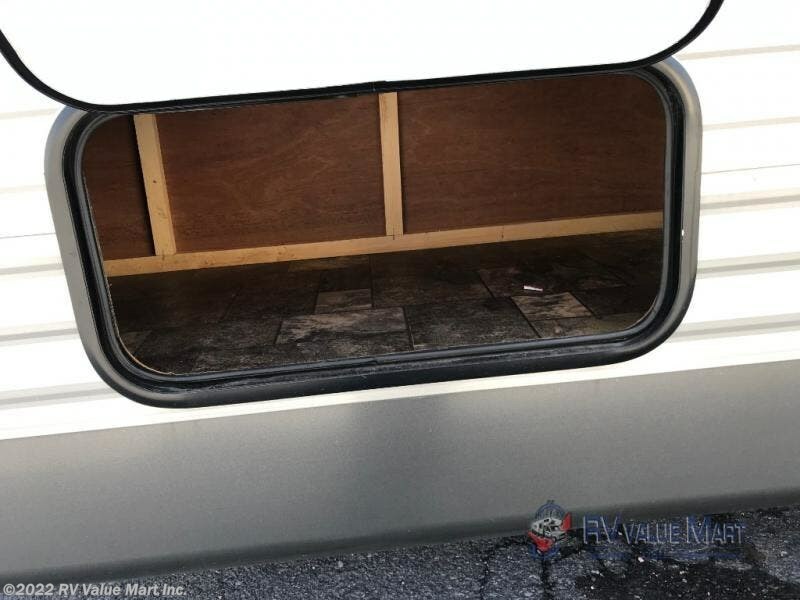 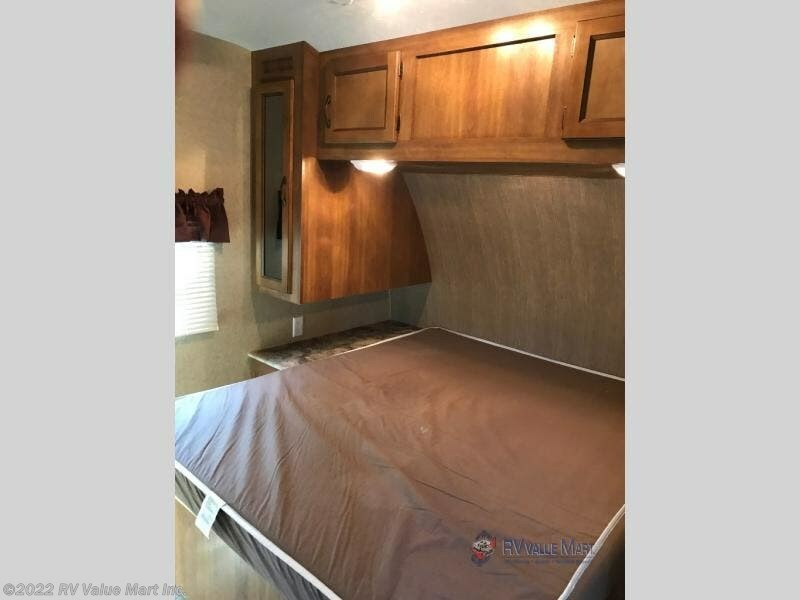 This Catalina travel trailer 303QBS by Coachmen RV features a large slide out for added interior space, quad bunks, and everything you might need for a great family outing. 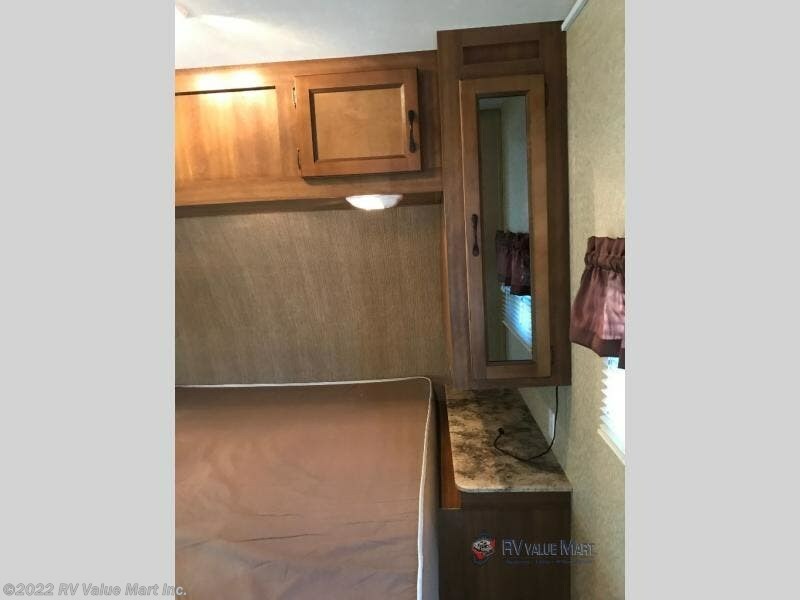 Step inside and notice the front bedroom to your right with queen bed and dual bedside wardrobes for storage. 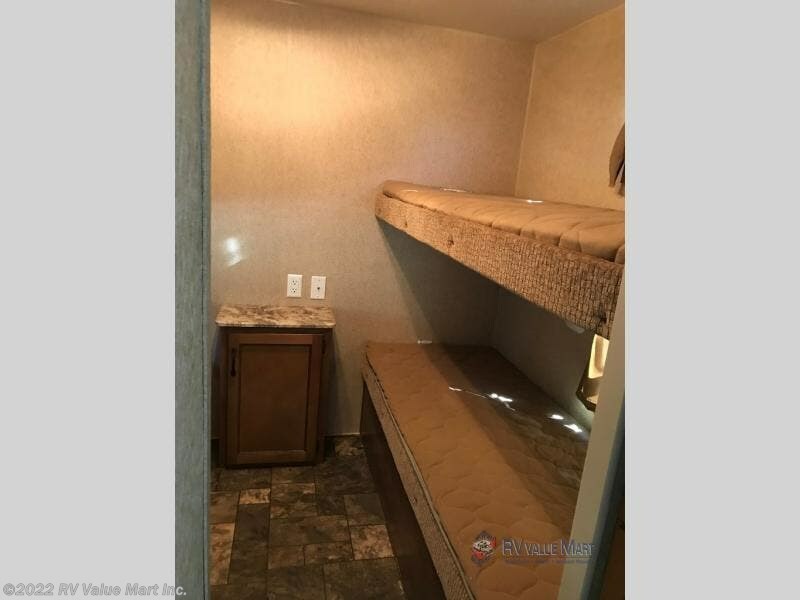 There is also storage above the bed. 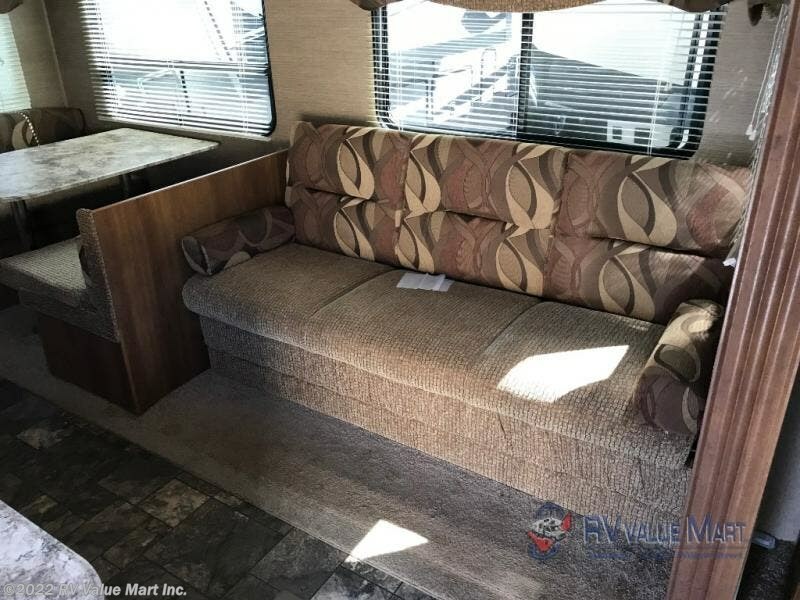 In the main living area you will enjoy plenty of floor space with the large slide out jackknife sofa and booth dinette fully extended. 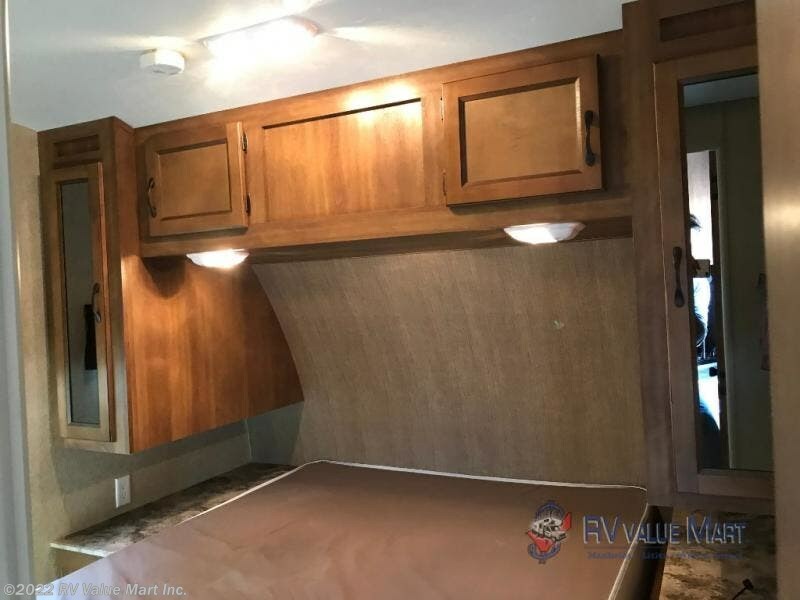 There is overhead storage above the sofa and both can be made into additional sleeping space at night. 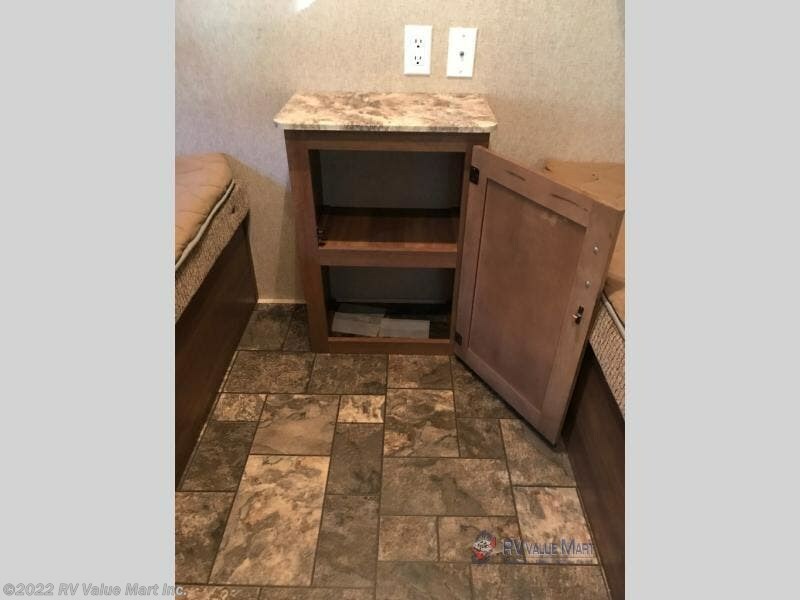 A nearby TV cabinet can easily be viewed from any of the seating in the room. 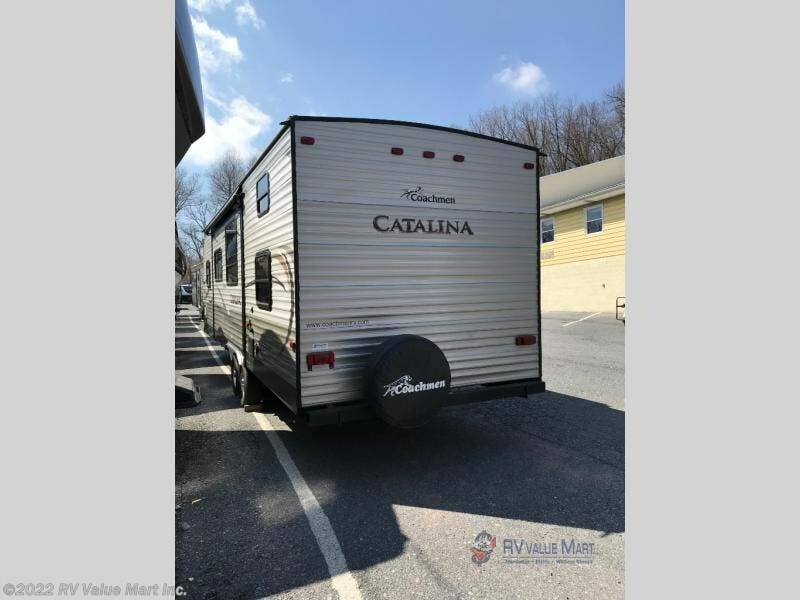 The Catalina kitchen features everything you need to prepare and create gourmet meals and snacks. 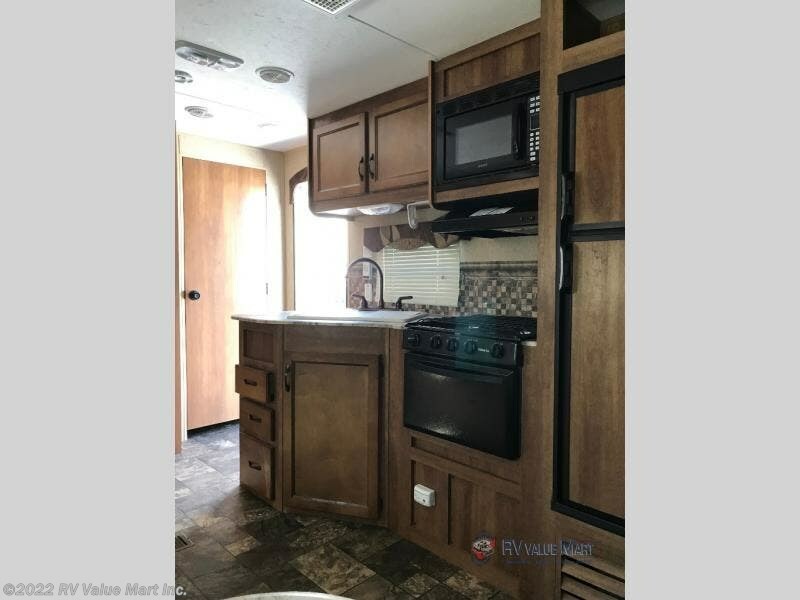 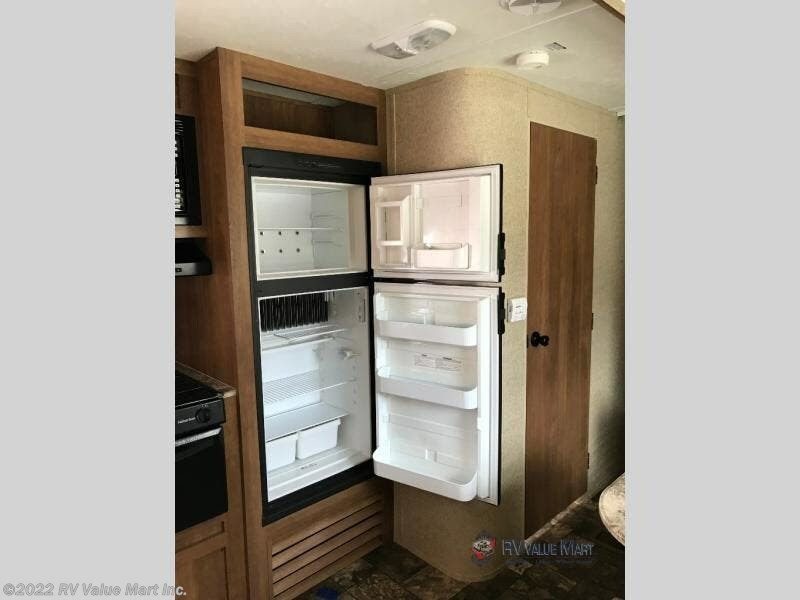 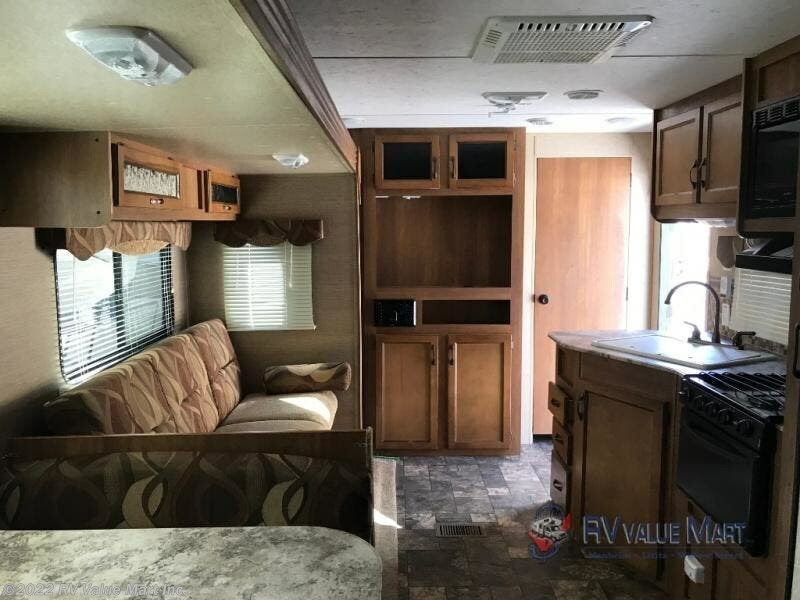 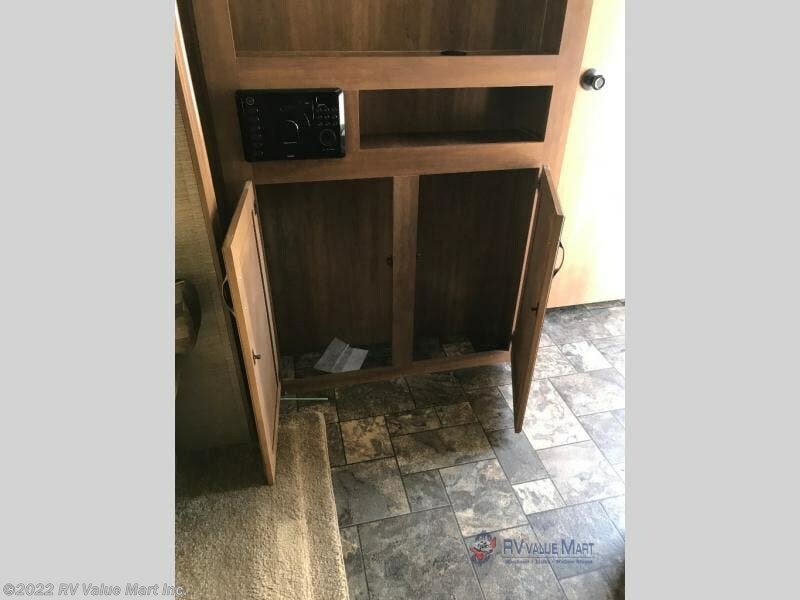 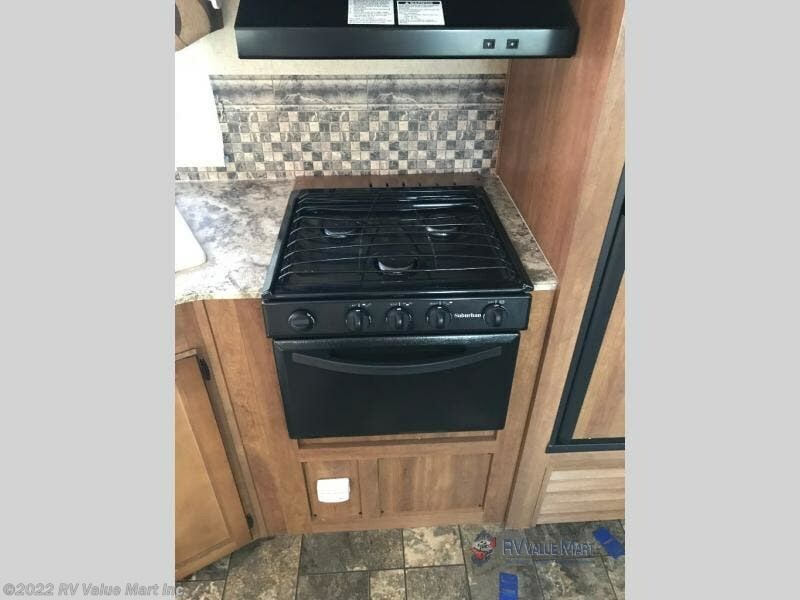 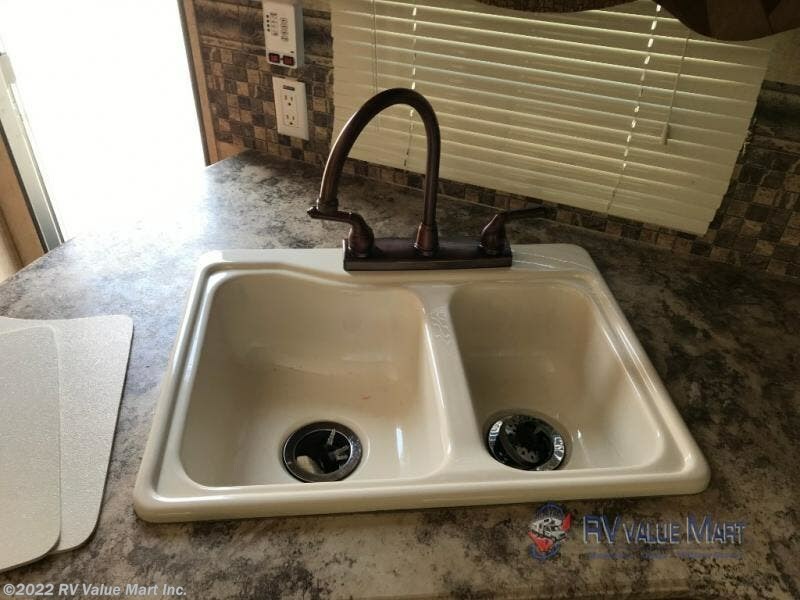 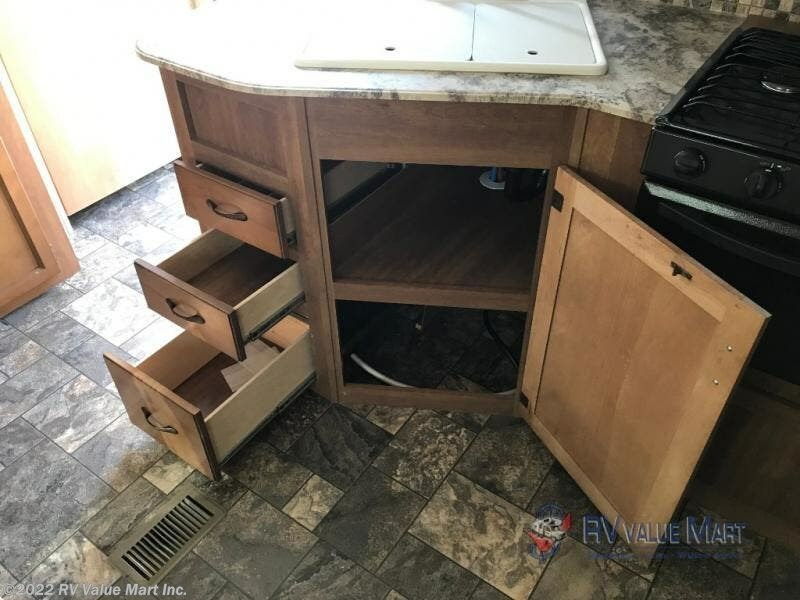 There is a refrigerator, three burner range with microwave oven, and large kitchen sink for cleanup, plus overhead storage and lower cupboards and drawers. 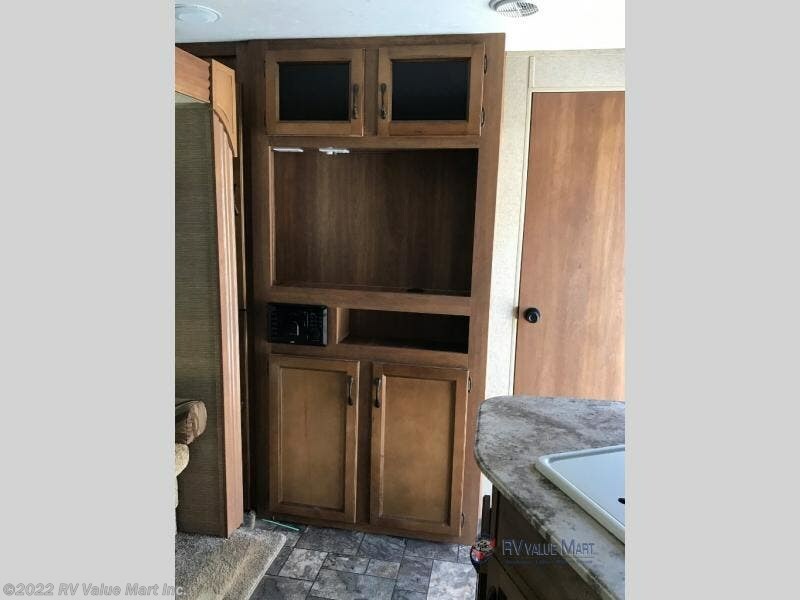 There is also a pantry for storage as well. 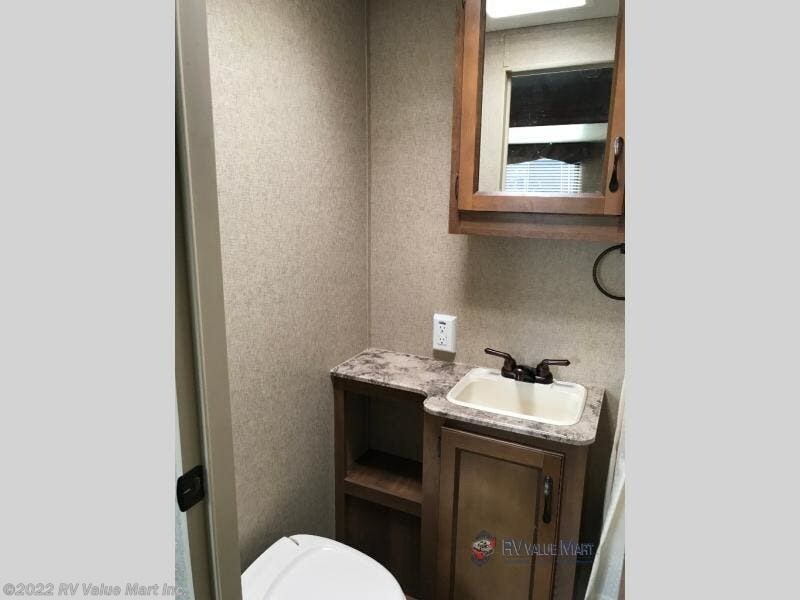 A convenient bath can be found just before the rear bunk room. 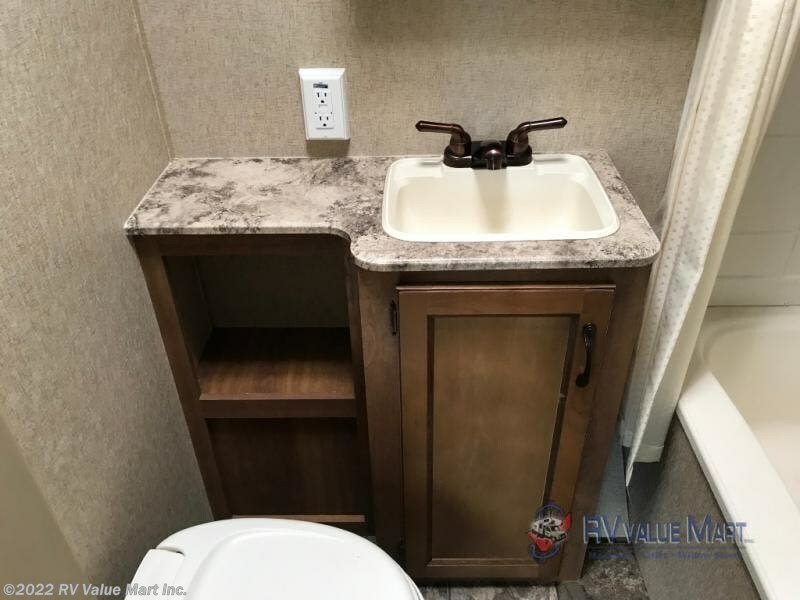 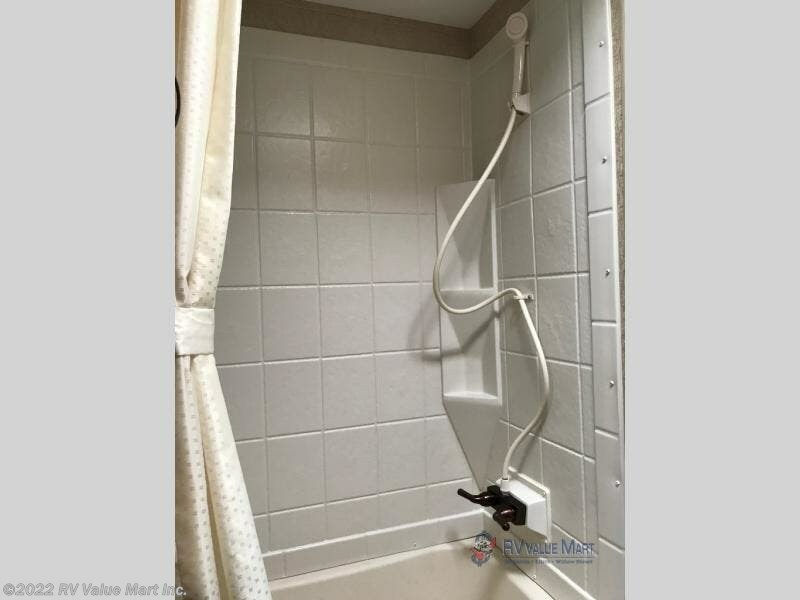 The bath provides a full tub/shower, toilet, and vanity with sink. 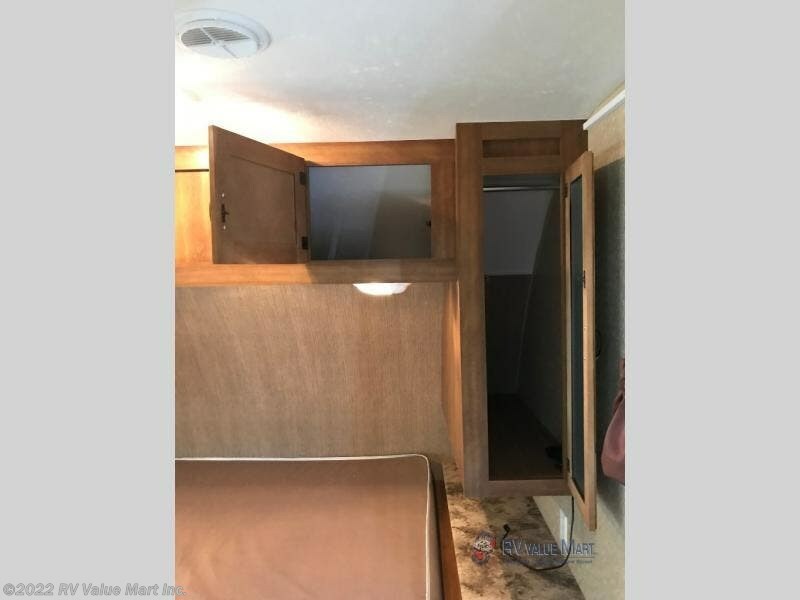 A sliding door leads into the rear bunk room which features wardrobe storage just inside the door on the right. 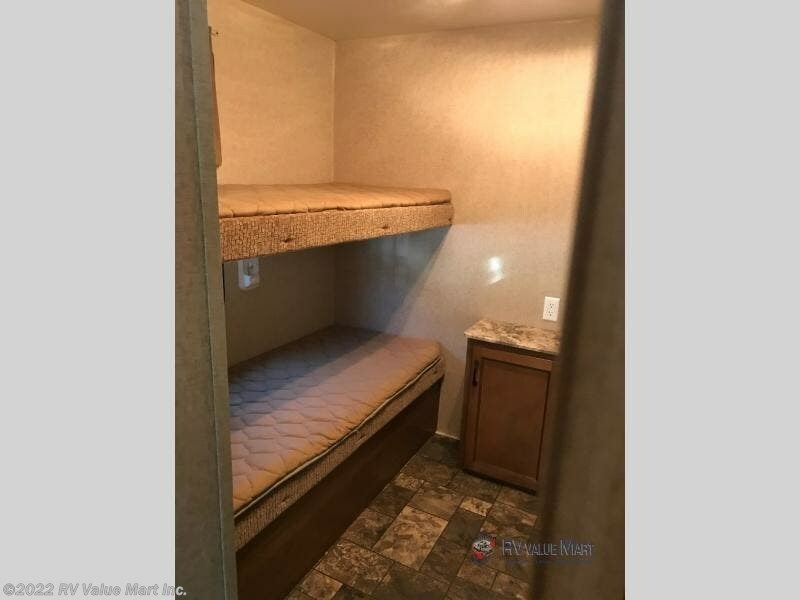 There are two sets of bunks with an entertainment center between. 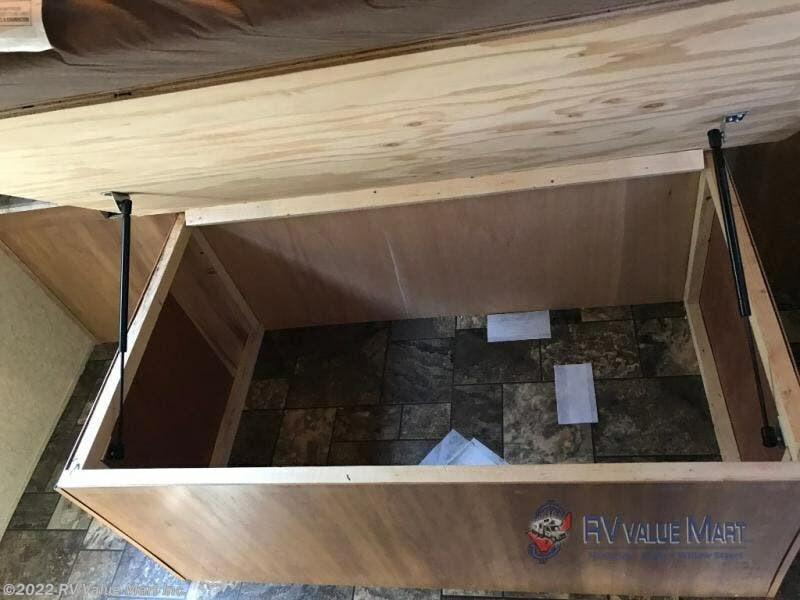 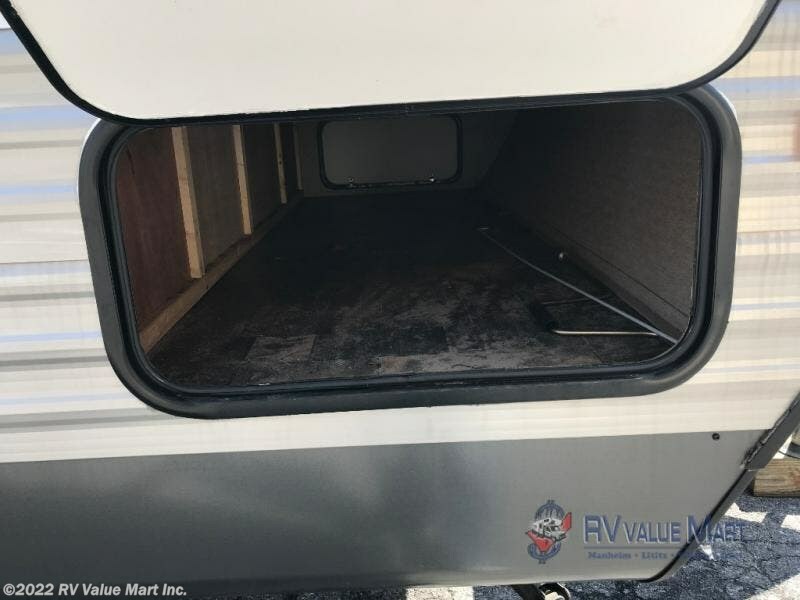 You will also enjoy the front pass-through storage compartment for all of your exterior camping gear, and much more. 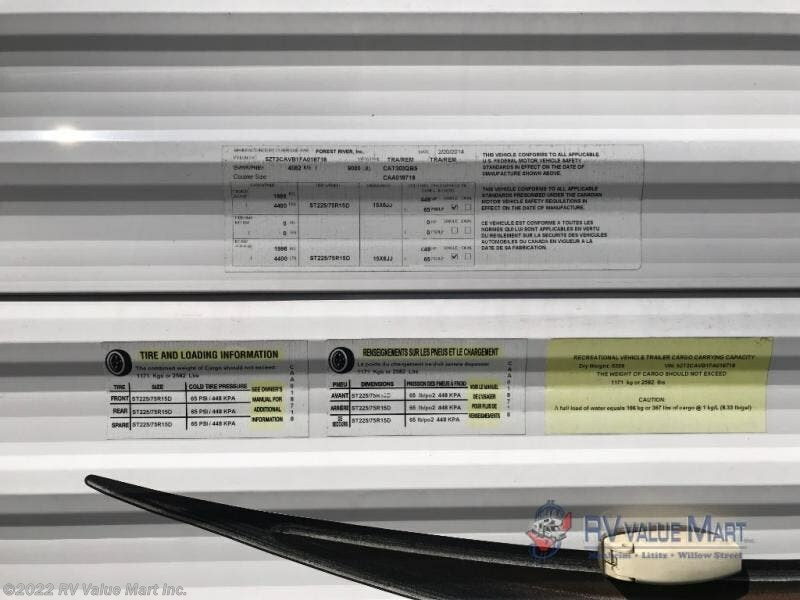 The 15' awning provides a bit of protection from the elements making it easy to enjoy the outdoors with protection from the sun and light rain. 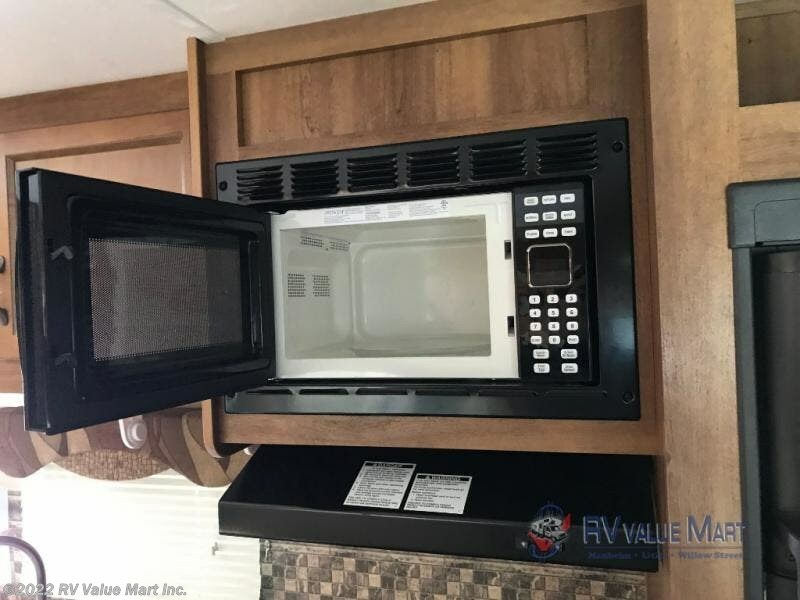 The 50th Anniversary Package is available on this model also. 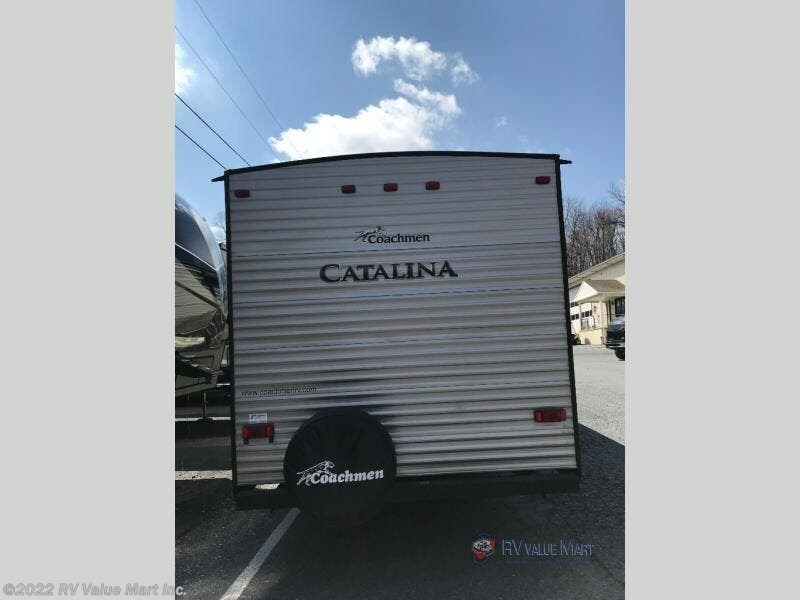 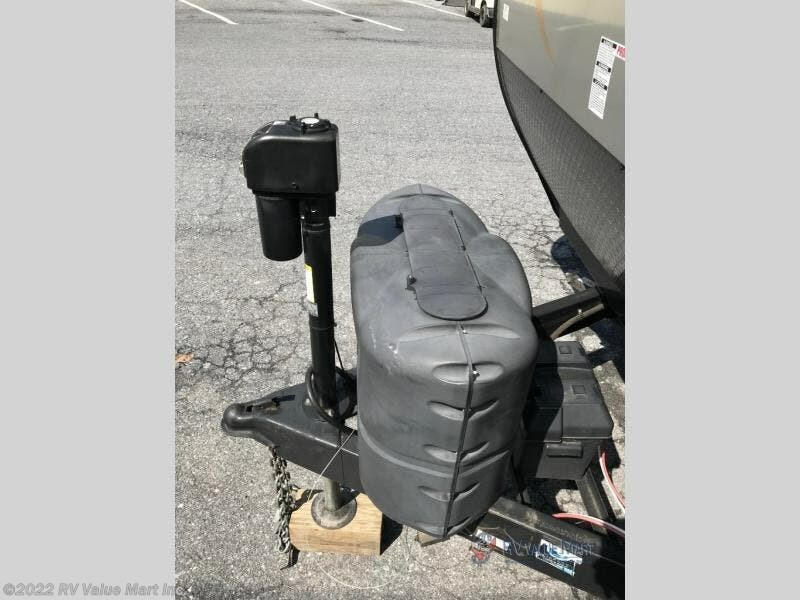 Check out Stock # FA018718 - 2015 Coachmen Catalina 303QBS on coachmenrvsource.com!